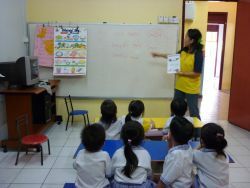 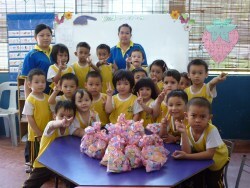 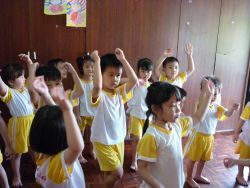 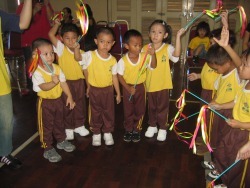 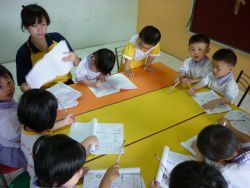 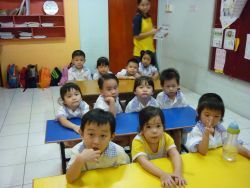 Children from the ages of 4 to 6 are enrolled into our kindergarten classes. 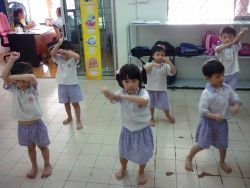 Classes are conducted from 8.00am to 12.00pm. 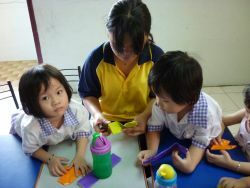 In between classes, preschoolers are provided with a tea-break at 9.30am with drinks and biscuits provided. 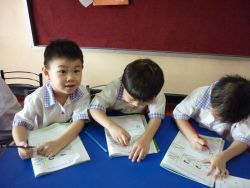 All students are supervised at all times by their class teachers.